‍‍‍The questi‍‍‍on before us is: shall we advance into a “limitless” future of spiritual/physical innovation and freedom, or hold fast to a complacent well-meaning status quo? In fact the future cannot be met without this choice! In this text Charity Bowman Webb provides much of the contextual information and understanding in facing this choice. Her personal experience and probing research are balanced by a distinct ability to clearly communicate without the hollow tone of self-appointed expertise or hyperbole, which is truly refreshing in the subject of arts and the church. Indeed the next reformation is knocking. ‍‍‍Culture now and future is being created every minute. As Limitless reminds us “New combinations of the arts and creativity, throughout many spheres, will become important; not only for breaking individualism, but bringing something from heaven’s store house that will completely surprise us. As the world syst‍‍‍ems shake and the gospel message magnifies in the earth, the Lord is stirring His beloved as a formidable, phenomenal, creative, limitless, warrior bride”. Charity’s insights, suggestions, lessons learned, and revelations received, make Limitless a handbook for every believer, layman to leader, an invitation to enter the conversation and decide to step onto the platform of creative expression of the beauty, gifts, and power of God’s Spirit now. ‍‍‍‍‍‍A few years ago when I was pastoring a very prophetic church, the Lord started talk‍‍‍ing to us about the need for something different in the prayer room. He took us to the story of Moses holding up his staff while Joshua and the Israelites were fighting Amalek. His hands grew weary, and both Aaron and Hur held them up, because as long as the staff was raised the Israelites were victorious. The Lord pointed out to us that we (the church as a whole) knew a lot about the intercession represented by Aaron, but we needed to learn about the intercession represented by Hur, because both would be needed for victory in the coming season. He led us to understand that the intercession of Hur was the integration of crea vity, contemplative prayer, and the prophetic. I believe that what Charity has tapped into is that very stream, the combination of the presence of God in creativity released through faithful servants of Christ. This book is revelatory in multiple senses of the word, and it carries the prophetic edge that comes when eternal truth is revealed by the eternal God into a specific person for a specific generation. It is also creative in multiple ways; it not only shares the heartbeat of our Creator, but it shares it with creative language. If you do not know how to express creativity in the church and what your place in the kingdom is, this book will help you. If you are a leader in the church, please read this book. Creativity has been diminished in the church, misunderstood, and even vilified by those that did not understand this gift God gave His bride. We desperately need creativity to rise to the level that God intends so that the church will dream again, dream of good works that God created for us beforehand. Come, be a part of a reformation that has already started! I have seldom read black letters on white pages so bursting with colour! That is a characteristic of the authoress who has a masterful grasp of colour and a masterful grasp of joy. 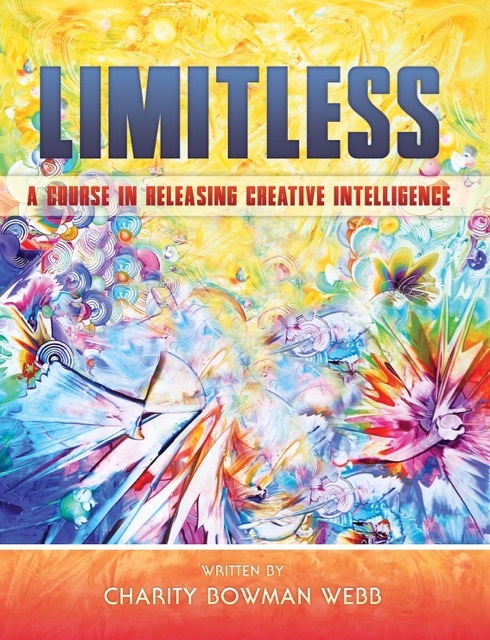 Among the aims of this book are to start many conversations about the creativity inherent in all people; to stir and encourage many of those people to overcome all their inhibitions about creative expression, their perceived limitations, whether self-imposed, culturally imposed, or ecclesiastically imposed, and to enter into the truly Limitless joy and fruitfulness of creativity available to them. It is written for followers of Jesus, present and future; it helps to break down the false concept between “your Christian life” and “your other life” – creativity belongs everywhere! I highly commend both the writer and the book to you. We are in the midst of an inventive cultural transformation. Limitless is a bridge called “relevant”. Charity Bowman Webb is a gifted writer, plunging us into the depths of our Creator God and catapulting us upward through the roadblocks of history. In this book we are presented with insights and practical strategies. Expect your imagination to be fuelled for superluminal flight into spaces yet to be filled. A Brilliant, Must Read for All! Charity’s prophetic call and training have allowed her to be in the forefront of a shift that is taking place in the body of Christ right now and to call it once again to be reconnected with our God, who is limitless in His creativity. Charity rightly understands the role, purpose and function of creativity for this shift and how the Holy Spirit will use this to refresh and renew His people once again, transforming His church and reach a lost world with His caring love. I commend her book to you. It will light a fire of passion and possibilities in you that can be limitless for the glorious days that lie ahead for the church! A few years ago there was a challenge to walk with Jesus on the “Unknown Path”. This path was only accessible as we went “lower still” on our faces in humble submission and adoration of Jesus. It was a pathway that allowed for the full release of Heaven’s resources to accomplish Heaven’s redemptive plans. On this pathway no-one would know how to “achieve” anything, because it was all down to complete obedience to the Word of the Lord. I believe that in Limitless we have something of what this radical pathway will look and feel like. Here Charity Bowman-Webb has released something of beauty and dynamism of the creative missionary movement that starts in the heart of God and flows out through his children to a world crying out for hope, life, joy and love. Limitless is for all those who in their hearts have said “YES!” to Jesus even before they have heard His question. As you read this book it will trigger a radical shift in your heart, mind and spirit; it is a catalyst to release the waves of creative Kingdom thinking and living which will bring in the greatest harvest of souls the world has ever seen.